As the Bush-era tax cuts are set to expire in 2010, ambitious health care legislation is moving through Congress, and entitlement programs are growing at unsustainable rates, U.S. policymakers face important questions about the optimal size and scope of federal spending. The federal government finances its spending through labor taxes, including taxes on income, payroll, and consumption-taxes that generate significant disincentives for employment. 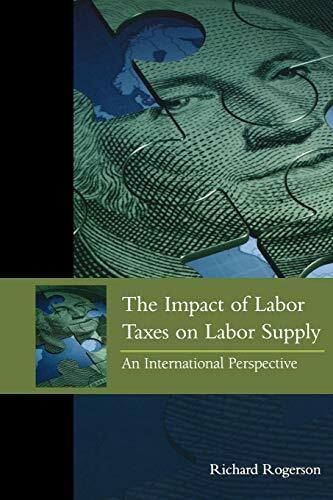 In Taxes, Transfers, and Labor Supply: An International Perspective, Richard Rogerson contends that the unintended consequences of increased labor taxes would be too large for policymakers to ignore. Rogerson compares fifty years of time series data from the United States and fourteen other OECD countries. He finds that a 10 percentage point increase in the tax rate on labor leads to a 10 to 15 percent decrease in hours of work. Even a 5 percent decrease in hours worked would mean a decline in labor market productivity equating to a serious recession. But, whereas recessions are temporary, changes in government spending patterns have permanent repercussions. Although government spending provides citizens with many important benefits, these benefits must be weighed against the disincentivizing effects of increased labor taxes. Policymakers who fail to account for this decrease in labor productivity risk expanding government programs beyond the economy's ability to support them. Richard Rogerson is the Rondthaler Professor of Economics at the W.P. Carey School of Business at Arizona State University.